Bring a Friend Pink Out! 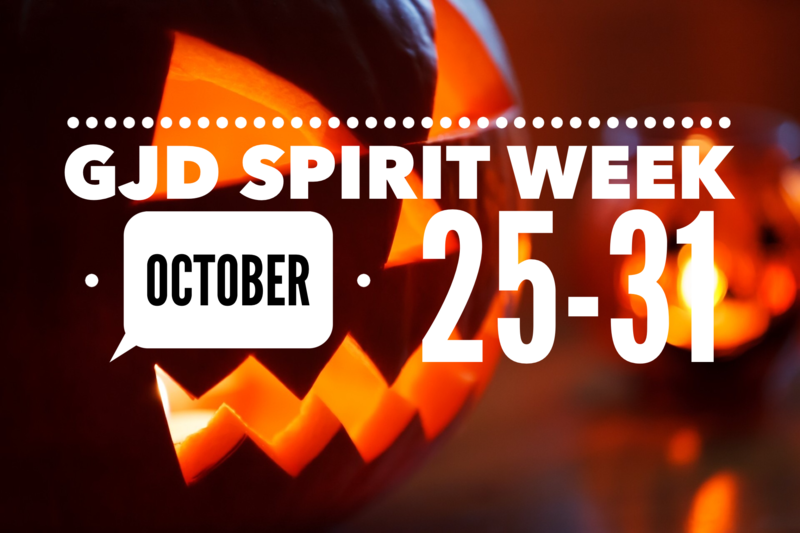 & Spirit Week! 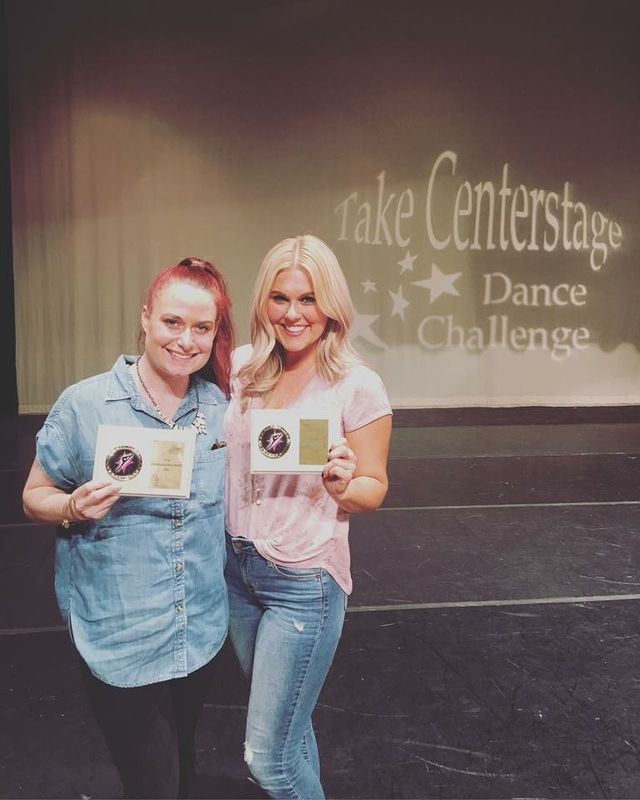 It's an exciting month at Grand Jete! October will be full of fun, spooky thrills and fundraising for an amazing cause! During the week of October 15-20 come to class dressed in pink for Breast Cancer Awareness Month. GJD will be raffling off a basket during this week. $3 for 5 tickets, $5 for 10 We will also have a donation can available. All proceeds will be given to the "Relay for Life Foundation" under the team Shooting Stars. 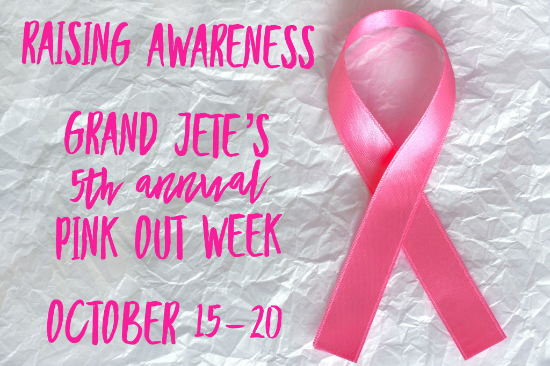 Join us for this wonderful week full of pink! Awards given to best costume of the night! 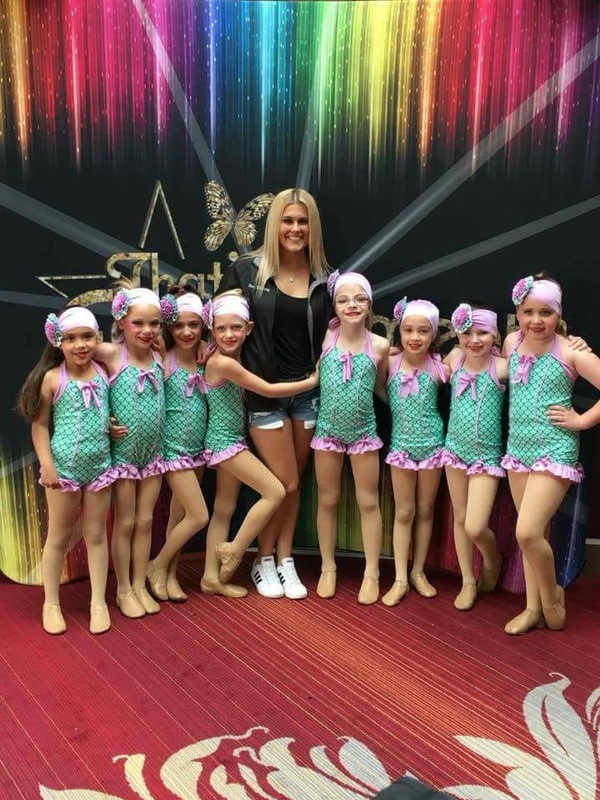 Parents please attend meetings at the start of your dancer/gymnasts class for important costume & recital information. All meetings are mandatory! Please make sure that if your child is sick they are staying home to rest. Germs are not for sharing and we want our students happy & healthy. Please do not leave children unattended in cars in our parking lot. 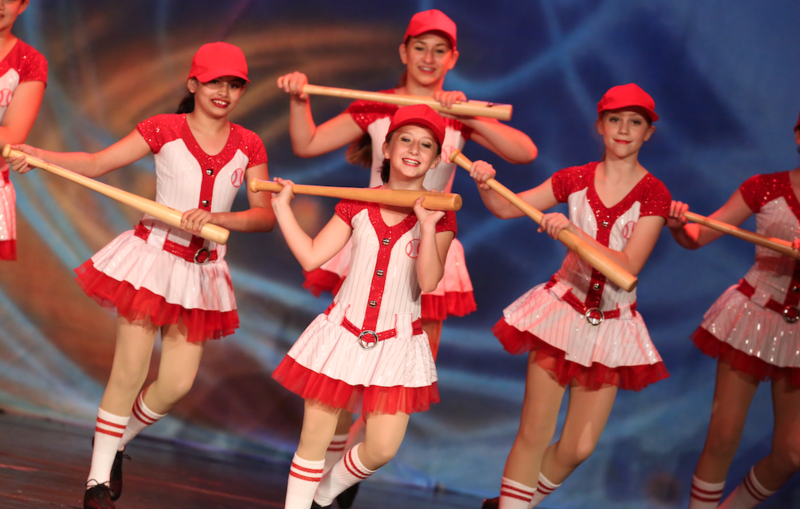 Grand Jete has plenty of room in our lobby to wait for your dancer or gymnast. 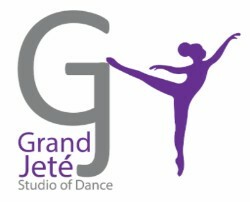 Grand Jete is sad and thrilled to announce that Miss Brittany will be following a new path on her journey through life. She has been a solid part of our staff for the past 5 years and will be missed by her fellow faculty members, students and best friends Miss Amanda & Miss Arenda. We wish Miss Brittany the best of luck with all of her future endeavors and start of an amazing life with her new found love and family. You will be greatly missed and our door is always open for your wonderful creativity and passion. 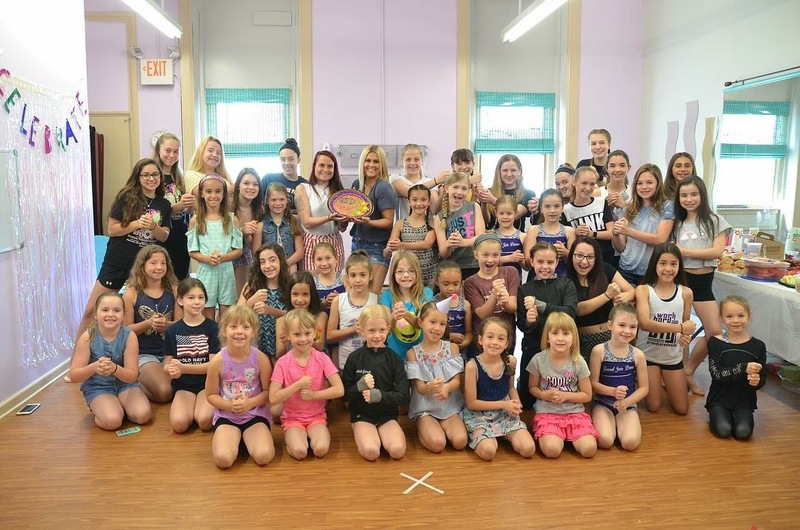 Grand Jete will always be your family inside and out. Our current staff members will be taking on Miss Brittany's class schedule for the year. We thank you all for your positivity during this transition.